MBT 3560 are heat detectors with incorporated transmitters. 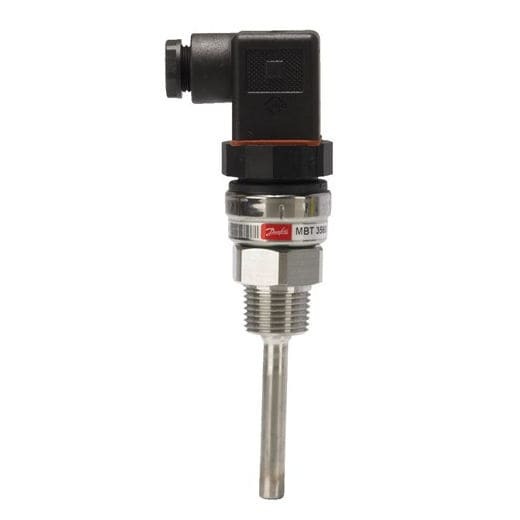 Through MBT 3560, we have pooled the expertise of our normal heat sensors and electrical links starting the MBS pressure transmitters with innovative urbanized electronics which has caused a dense heat sensor with an incorporated transmitter. The MBT 3560 is intended for use in insensitive manufacturing settings where dependable, strong and precise tools are required. It is offered with an extensive range of process and electrical links. It can be brought with a 33 mm additional length which makes it possible to calculate temperatures equal to 200°C devoid of harming the inbuilt electronics. It is ultra solid in design. Features: Acidic-defiant AISI 316L-grade stainless steel attachment, has heat range -50 °C ±200°C , Platinum 1000 confrontation component, 4 mA to 20 mA or Ratiometric output signals, ø 8 mm safety pipe, numerous insertion lengths from 50 mm to 250 mm.